Give fair warning to anyone approaching your house that your home is under the protection of the Caped Crusader. 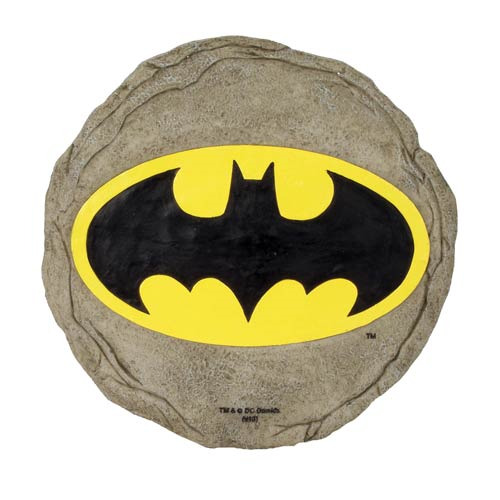 Place this Batman Logo Stepping Stone in an obvious spot and relax! Measures 9 1/2-inches long x 9 1/2 wide x 1/2-inch thick, and weighs 2 3/4-pounds.